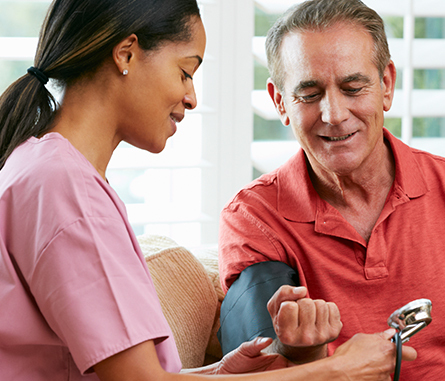 If you are 65 or older or you have a disability, you may qualify for medical benefits under Medicare. Eager Health Life & Annuities has helped many hundreds of Connecticut residents understand their eligibility and buy Medigap insurance policies. When it comes to Medicare in Connecticut, the right supplements and prescription drug plans are out there for you. With the information and assistance we provide, you are able to receive the health care you need when you need it the most. Contact one of our agents today to receive more information about available plans and supplements you can take advantage of when you are signing up for Medicare. Unfortunately for many people, Medicare alone is simply not enough to cover all of the medical expenses you might have going forward. That is why it is very important for you to make sure you are getting the additional coverage you need so you do not have to worry about how you will afford your prescriptions or health care. Allow us to help you. Medicare can be pretty confusing for most people, which can make it difficult to make the smartest decisions about the coverage you are receiving. When you need help choosing a Medigap plan, whether it is a Medicare Supplement, a Medicare Advantage Plan, a Prescription Drug Plan, or otherwise, feel free to email us or give us a call. We are ready, willing, and able to put our years of experience to work for your benefit. Our company is not affiliated with any government agency. For official Medicare information, we recommend you browse the 2018 Medicare and You Handbook. We are also ready to assist you with any help you need regarding annuities, final expense insurance, life insurance, health coverage, and coverage for dental and vision. Contact us with any questions you have about Medicare. We provide useful information to qualifying individuals located throughout the state of Connecticut.